Home Gambia GAMBIA: JUDICIARY: Six Gambians appointed Superior Court Judges! 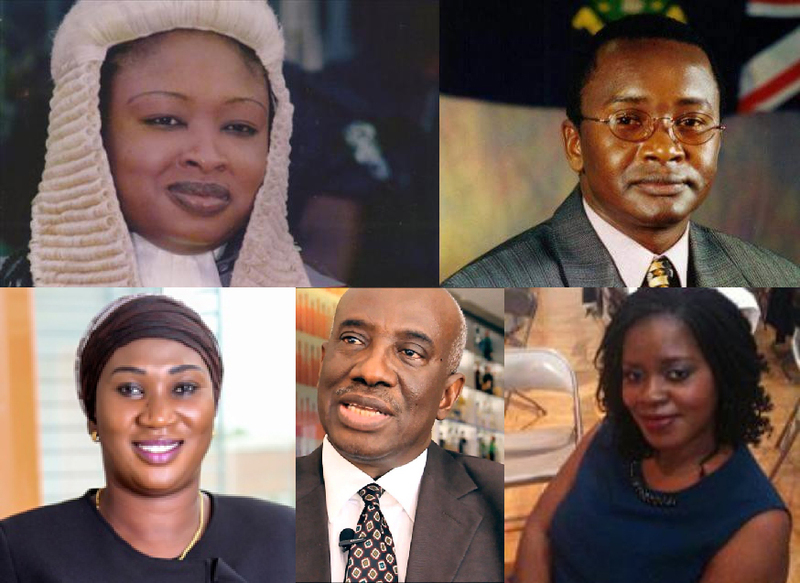 By Bruce Asemota – Six Gambians have been appointed as judges of the Superior Courts of The Gambia by President Adama Barrow. The appointments were pursuant to the recommendation of the Judicial Service Commission made on 14 and 16 March 2017. Sainabou Wadda Cisse as Judge of the High Court. Cherno Sulayman Jallow (Justice of the Supreme Court) has 28 years’ post call experience as a lawyer and has once worked at the Attorney General’s Chambers as Chief Parliamentary Counsel. He served as Attorney General of the British Virgin Islands from 1999 to 2007 and he is currently the Director of Policy Research and Statistics of the British Virgin Islands Financial Services Commission. Justice Mary Mam Yassin Sey has 28 years’ post call experience as a lawyer and was the first female appointed Judge in The Gambia. Justice Mam Yassin Sey worked under the UN and ECOWAS in Liberia as legal adviser in the office of the Special Representative of the Executive Secretary of the ECOWAS (SRES). She served as Judge in Swaziland and Sierra Leone respectively and she is currently Justice of the Supreme Court of Republic of Vanuatu. Justice Naceesay Sallah Wadda has 18 years’ post call experience as a lawyer and had served in various capacities including as Deputy Director of Public Prosecutions and Acting Solicitor General and Legal Secretary at the Attorney General’s Chambers. She was appointed as High Court Judge in 2007 and had served as Justice of The Gambia Court of Appeal from 2011 to 2016. Justice Omar Momodou Musa Njie has over 25 years post call experience as a private legal practitioner and as a lecturer in Civil Procedure, Gambia Law School from 2014 to date. Mrs Sainabou Wadda Cisse has 15 years’ post call experience as a lawyer and has once served as a senior Magistrate and Chairperson of the Kanifing Industrial Tribunal. She served as the head of Legal Affairs and Compliance at the former Prime Bank (G) Ltd and currently the head of Legal Affairs and Company Secretary at the Guaranty Trust Bank (G) Ltd.
Zainab Jawara Alami has 16 years’ post call experience as a lawyer and once worked as curator of Interstate Estate Department and State Counsel (Criminal Division) at the Attorney General’s Chambers. She is currently Deputy Director (Legal) and Head of Legal Unit at the Gambia Revenue Authority (GRA).